...is there still a RSS feed for the news ? I was the developer for the website and now that we've released it live I wanted to get a post going so people can let us know the issues that they see. We have some issues with Safari/IOS and a slight issue with the background in Opera that are already known but just let us know what you're experiencing. 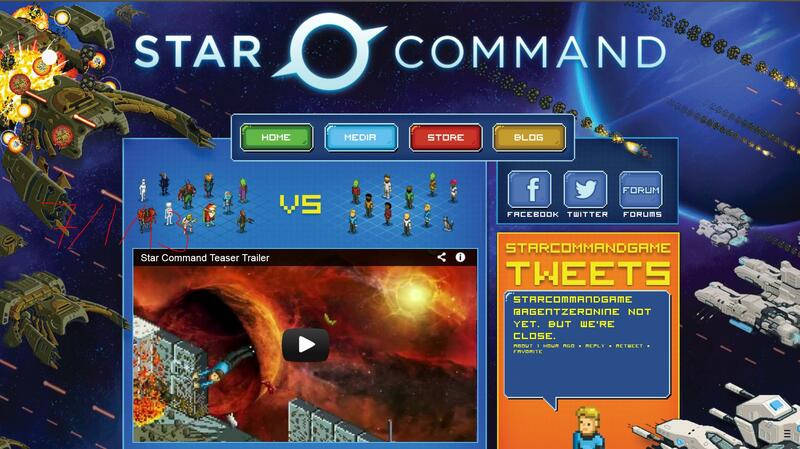 Thanks Chris - website is very very cool: Really like how it mirrors star command pixel UI and generally looks bright and actiony. I'll look out for bugs. Cheers! @"webmaster": "Malware alert: Content from newspaper.li a known malware distributor has been inserted into this page"
I used sandbox mode to delete some youtube links I posted previously, if that helps. roguetrooper2 wrote: @"webmaster": "Malware alert: Content from newspaper.li a known malware distributor has been inserted into this page"
It wasn't on my Chrome filter so sorry I missed it. I use a mobile app 90% of the time. b12n11w00t, I have new one I think. The background images are overlapping weird so all I see is Star then the symbol is cut off and no Command. I assume it has to do with one background being static and the other not, hence the over lapping. I can take pics per say so I can help much there. Yeah definitely post pictures so I can see what you're seeing. I haven't made any changes in a long while so if we can get a list of known defects I can pass them along to Justin and Jordan to see when we can get them resolved. I can add that later today. Redirects ftw!